You may not know this, but our very own KaraUke superstar, Lorraine Bow, also teaches the ukulele. If you would like to be able to play a cheerful little musical maker like the rest of KaraUke then sign up! The last places available are selling out fast and these are the last courses until later on in the new year. Play your first song in an hour. Yes, really! Learn loads of pop songs ont he ukulele, with various strum patterns and chords in only 4 weeks. 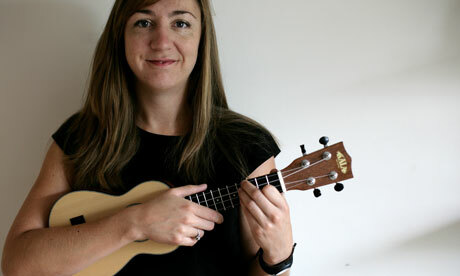 Lorraine has extensive experience in teaching the ukulele in a fun way to all ages and is a published author of a ukulele tuition book. Choice of day, Monday or Tuesday, and time, 6-8pm or 8-10pm. Many of the band swear by ‘Learn to Uke’, and several of the members have begun to play after a set of her lessons several years ago.